Third number in the cantata. Originally for soprano and continuo, transposed from a minor to d. Title means,"Highest one, make thy goodness henceforth (new every morning)." Because of the limited range of the bass recorder part, this may be played on a Renaissance bass if desired. Note that we also offer arrangements of this aria for other sizes of recorder and one for recorder duet. Revised May 12, 2018. 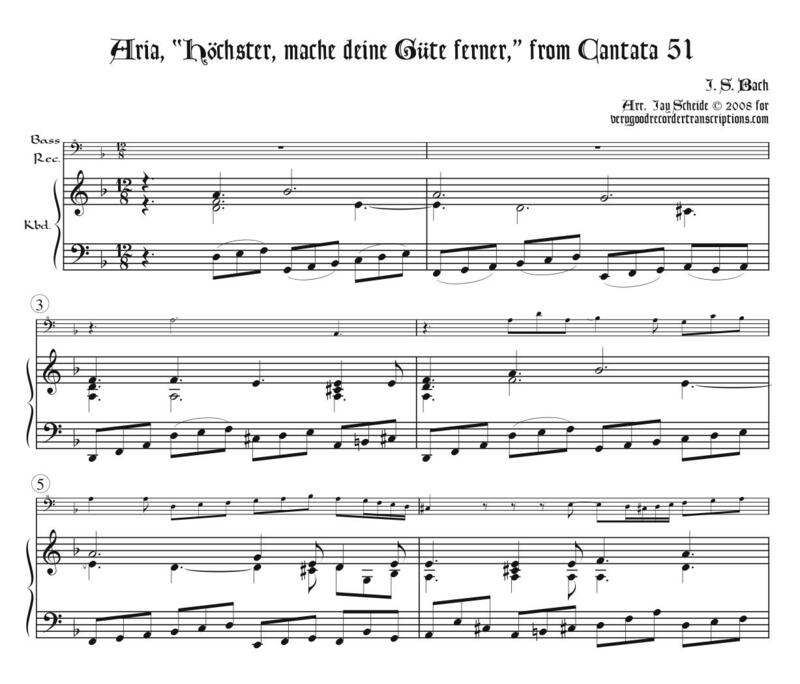 Cantata 51.3 for Bass Recorder & Kbd.